DIFFERENCE BETWEEN SOCIALISTS & COMMUNISTS? 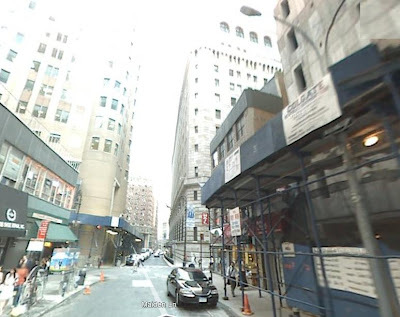 We used to live on Maiden Lane, a block from the NY Federal Reserve Bank & Fortress of Gold, and two blocks from the WTC. We rarely shopped at the Fed; our credit was too good, and we were mere taxpayers, depositors, not withdrawers. It's only four blocks from the NY Stock Exchange, and probably connected underground; certainly by birth, marriage and Old School Ties. There was also a connection to the Trade Center, where all the gold was moved and then removed after the first attack almost melted it down. The first attack killed six people, a small enough number, unless you loved one of them. Lots of people got badly smoked in the unlit chimneys known as fire exits. But nearly all of them survived. We were having lunch at home at the time, and didn't even hear of that first bombing until several hours later. We subsequently walked the perimeter of the Complex, some 14 acres, but saw little damage except smoke near the old Millenium Hotel on the Southwest corner of One WTC. 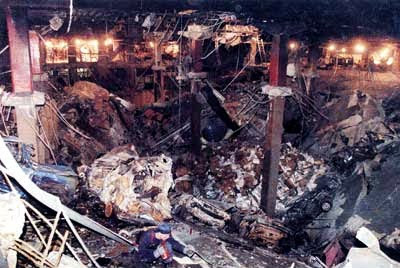 All ten floors of the hotel were wiped out by the explosion of a van full of fuel oil and fertilizer deliberately set off by Arab terrorists in the basement parking garage directly beneath the hotel, but there was no major structural damage to the Tower. The NYPD and the NYC office of the FBI did a great job of rounding up the bombers here in the US. They were all captured, arrested, tried, convicted and sent to prisons where they still rot, sixteen years later. High-ranking members of New York's Finest and the Feebs resigned in protest to being officially prevented from following their leads to the higher-ups in Yemen and Saudi Arabia, where masterminds like Osama Bin Laden were already planning another bombing at the World Trade Center. They vowed to come back to finish the job, which they did, eight years later, eight years ago. So life went on as usual for most of us, after that first bombing failed to destroy the Twin Towers. 50,000 people entered and left the Trade Center every weekday. It was mostly City, State and Federal offices in those days, though financial industry offices were already moving in there. The Twin Towers had never been commercially successful. 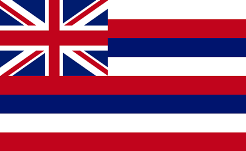 Without the backing of Governor Rockefeller and his slews of State offices, there would never have been enough tenants to build the place at all. Many New Yorkers would have preferred it that way. The monoliths wiped out much of what was left of the old merchants and residences of the Washington Market area. There was little in the Complex that was of any interest to most Manhattanites. 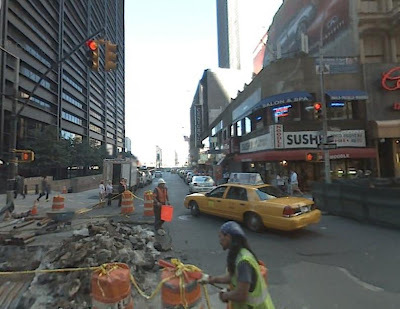 The World Trade Center helped to kill all local life below Canal Street, until TriBeCa rose in the ashes. But that was mostly for rich assholes who forced the artists out of their converted industrial lofts, as they had in SoHo and NoHo. We were some of the few who braved the disaster-movie desolation of the Wall Street area on weekends and holidays, when only a few tourists prowled the deserted streets, and all the bankers, brokers and bureaucrats were safely home in their suburbs. There were a lot of cheap fly-by-night discount stores selling unclaimed freight and other stores' overstocked goods for quarters on the dollar. There were lousy, over-priced all-night deli's and great, cheap Irish bars, but little else except for the turista trap at South Street. 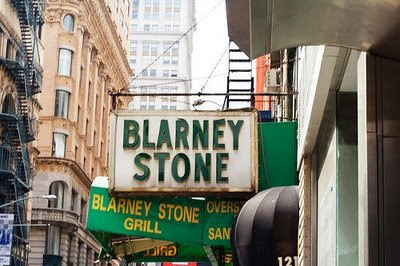 We had worked behind the stick in one of those Irish bars on Nassau Street, four blocks North of the Stock Exchange, briefly, back in the 70's. 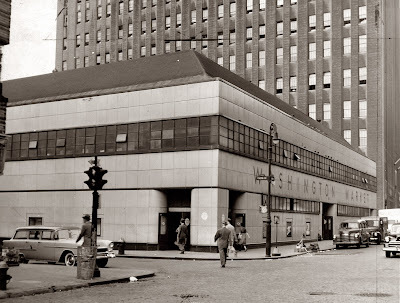 It was an L-shaped building that had a second entrance on Maiden Lane between Nassau and Broadway. In the 80's, it became a deli. In the early 90's, we moved into a loft building next door. 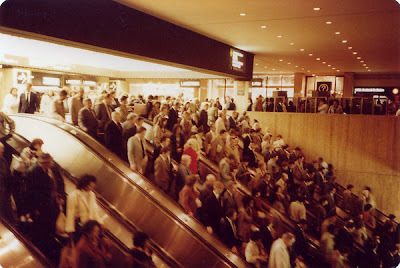 We usually went right downstairs to the Fulton Street Station to catch the subway uptown to the East or West Village, Midtown or the Upper West Side. If we had to go under the Hudson River to New Jersey for business or to visit friends in Hoboken or Jersey City, we would catch the PATH train beneath the World Trade Center. 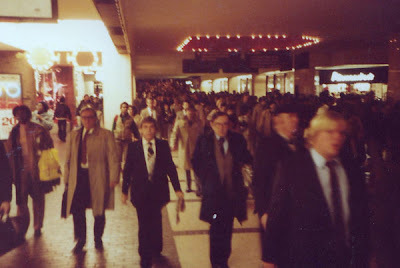 On the way back, we might stop at the newsstand for magazines and cigars, or at Duane Reade for aspirin or toilet paper, or at Woolworths for sox and underwear. 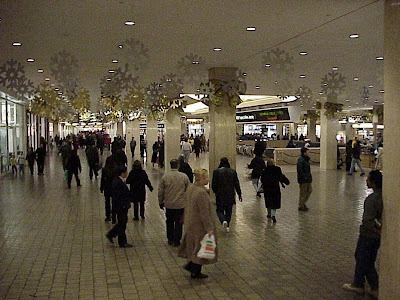 The failed shopping mall in the basement of the World Trade Center was bereft of an anchor after Alexanders went bankrupt, but it was of some service to those of us who lived in the area. There was bad food aplenty at the Food Court, and one could sit and stare at the suburbanites for hours, if one had a mind to. We were in love with one of the out-of-towners, a Puerto Rican girl named Esmeralda who clerked at the Duane Reade discount drugstore. She was tiny and beautiful, and we loved seeing her climb a ladder to put things on a high shelf, or to get them down again at our request. Esme, as her name tag read, was married, with a ring to prove it. She even had a locket around her neck with a picture of her baby. She was so sweet and pretty, so kind and helpful, so full of life that it was impossible not to love her. Sometimes we would see her coming up out of the Tubes on her way to work, or headed back down on her way back to Jersey. We thought of following her once, to see where and how and with whom she lived, but we didn't. If we had, we might know how to get in touch with her today, to see if she was all right, to find out whether she had made it out of the Trade Center on 9/11/01. They say that most of the people in the Mall made it out. But Esme was little, maybe they missed her. 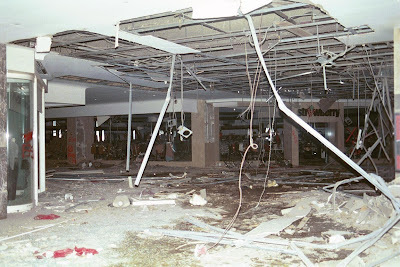 Sometimes we have a dream about the shopping mall underneath the Twin towers. It's all dark and smokey, and we can hear people crying out. We can't see anyone, but we can hear them. We can't move, paralyzed by fear or maybe disabled by the explosions. But we have this overriding desire to find Esme, and carry her out to safety. Out to New Jersey where there are no gigantic towers, no terrorist targets, no planes crashing into buildings. We hear a voice, it might be hers. And then the dream ends. We were born in Manhattan, but we grew up in New Jersey. Maybe it seems like a safer place to us because we were children there. Maybe it really is a safer place, as the past so often is, in our memories. Maybe Esmeralda is safe out there now. Maybe she wasn't even working that day in 2001. Maybe she found another job out in Jersey. Maybe she is living in the unbroken past, and there never was a 9/11 where she is. Maybe we are still sitting in Sbarro's at the Food Court in the shopping mall underneath the Twin Towers, drinking cappuccino, smoking a cigar, reading the Voice and, just occasionally, looking up at a pretty young girl passing by, to see if it is Esme. Maybe it's a better world. Yup. Thirsty & dirty. Don't buy stocks after lunch: They're all drunk or high then at the Exchange. Or maybe that's the best time to buy.